There is a chapter in the book titled ‘Tea, coffee and other drinks’, and yes it does give advice on how to make tea and coffee! It has tips for making coffee by the saucepan, jug, syphon, filter or percolator method! I’m not going to blog about making coffee but there are some interesting ideas and suggestions for hot drinks that I will get round to, but the chapter also has a lot of other non-alcoholic drinks which I think are great ideas for all the drivers at this time of year – there’s only so many diet cokes a girl can face! Put the barley into a saucepan, just cover with water and bring to the boil; strain off the water and rinse the barley again under cold water. Return it to the pan, add 1 pint water, bring to the boil again, cover and simmer for 1 hour. Strain the liquid into a jug, add the sugar and cool. When it’s cold add the lemon juice. It also says to use this as required and that it will keep in the fridge indefinitely. Not sure if it needs to go in a sterilised bottle to keep that long, I didn’t bother sterilising the bottle as I don’t plan in keeping it that long! I didn’t want to throw away the pearl barley, so I had made a veg soup and just threw the barley in to that. The barley absorbs a fair bit of the liquid so the end volume isn’t much, I had about 150ml. Drinking boiled grain in water is an ancient practice that I think originates from Greece. There are certain health benefits from this, but that’s not why I made it!! I wasn’t too sure how to drink this, I had some soda water so I just mixed with that. 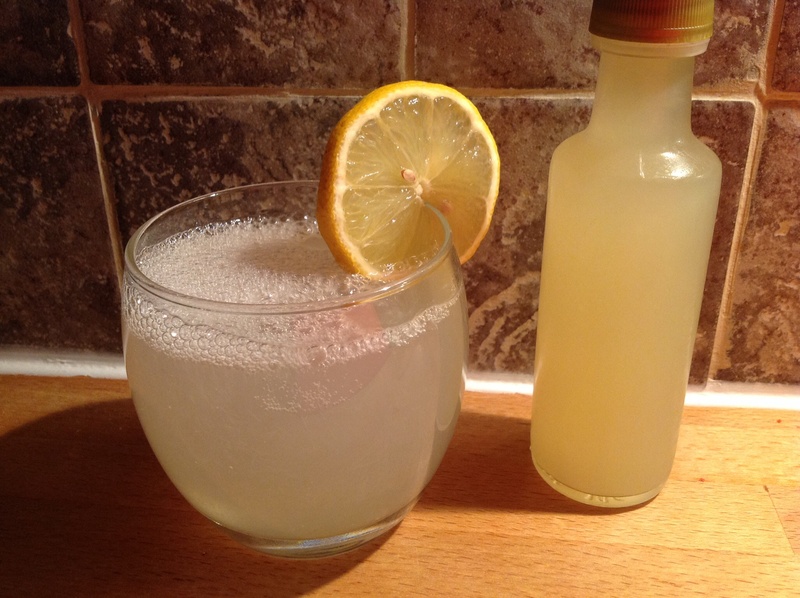 You could mix with lemonade, tonic, ginger beer (would be nice with one of those alcoholic ginger beers!) or even gin. Just with soda water was really lovely. It’s refreshing with just a little sweetness. I tasted it neat as well and even that was pleasant! It’s definitely a great alternative soft drink. Would I make this again? Yes, and I’m going to go get some ginger beer as I think it would be brilliant with that.